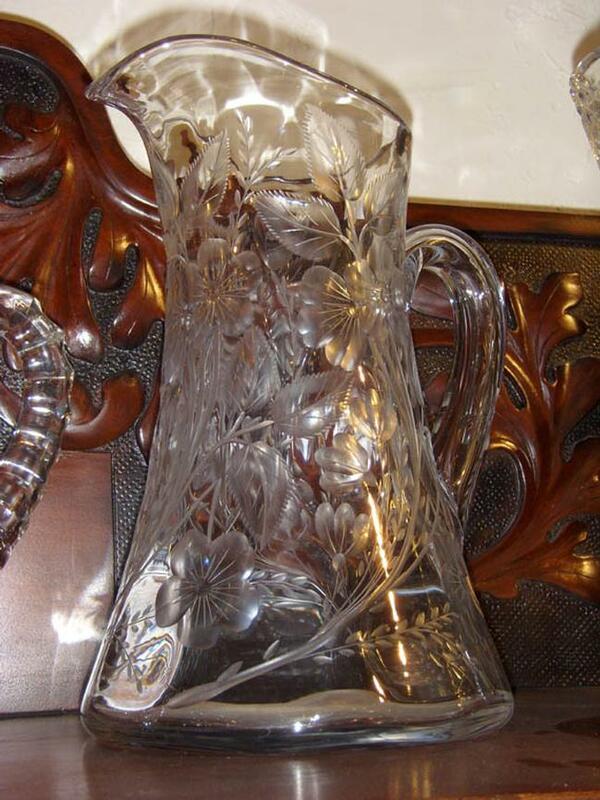 Signed Libbey Carved Water Pitcher -- Absolutely beautiful signed Libbey water pitcher with fabulous wheel carved flowers and leaves all over. It is 10" tall with a 6 1/2" diameter on the bottom and is in absolutely perfect condition with no chips, cracks or repairs. The Libbey signature is there, but I was unable to photograph it with my camera. 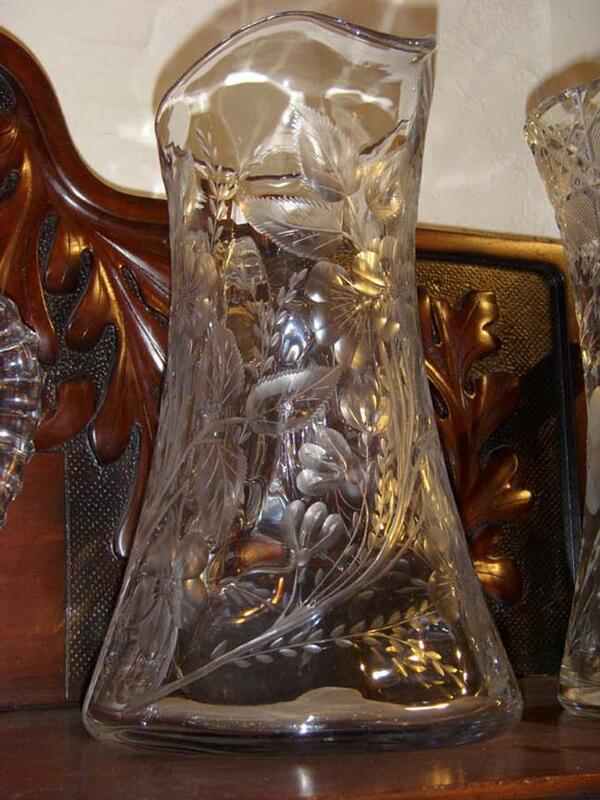 Absolutely beautiful signed Libbey water pitcher with fabulous wheel carved flowers and leaves all over. It is 10" tall with a 6 1/2" diameter on the bottom and is in absolutely perfect condition with no chips, cracks or repairs. The Libbey signature is there, but I was unable to photograph it with my camera.